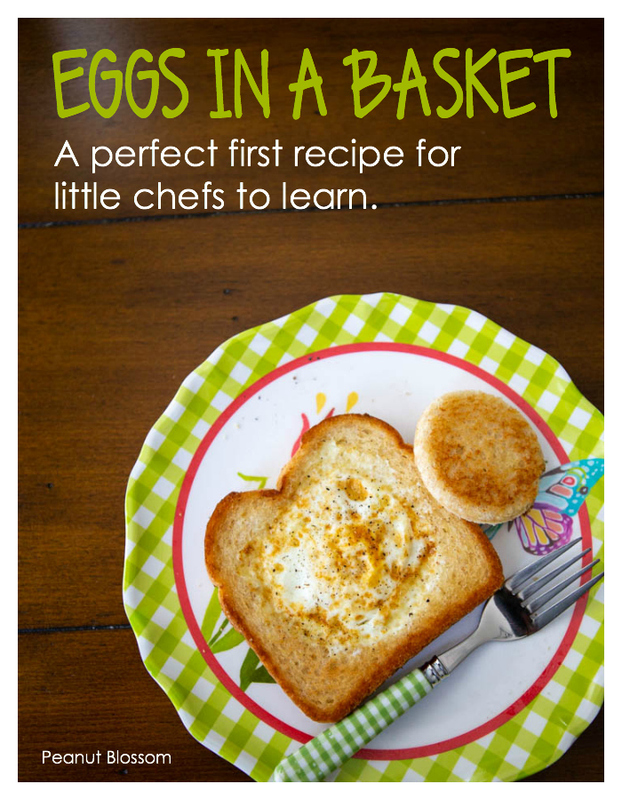 Learning how to make eggs in a basket is one of the perfect places to start with basic kitchen skills. It is an easy breakfast for kids to learn to cook. A couple years ago, I taught the Peanut how to make scrambled eggs so she could try her hand at learning some simple stovetop cooking skills. She enjoyed that simple recipe so much, she was inspired to try more egg dishes. She wanted to learn to make eggs in a basket, (where you griddle a piece of bread with a hole in the center and place an egg in the middle to cook) but I poo-poo’ed it for far too long. My experience with cooking eggs in a basket was not really positive and I worried it would frustrate her and turn her off from learning to cook. The bread doesn’t get toasted and comes out soggy. The egg isn’t cooked properly through. The egg doesn’t stay in the hole and runs everywhere. I had battled each of those troubles and didn’t feel the final product was worth all the effort when a fried egg with toast was so much easier. If I’ve learned one thing about kids in the kitchen, it’s that they are resourceful creatures who love to diligently investigate things all on their own. One weekend, the Peanut asked my permission to try making eggs in a basket by herself and I finally relented. She was disappointed to discover her bread tore when she tried to cut the hole and the egg ran all over the pan and stuck. I thought that would be the end of it. That sweet girl stuck with it and tried again and again. A few weeks later, she made ME a delicious breakfast featuring eggs in a basket with perfectly crispy bread and an egg that was thoroughly cooked but with a slightly runny yolk–just the way I love it. I was SHOCKED. You know that circle piece of bread that is removed to make the hole? The Peanut decided to use that to gauge whether the eggy toast was ready for flipping or not! She puts both pieces of bread in the pan at the same time, adds the egg, and then peeks under the circle to see if it is golden brown. When the circle is toasted, she knows the main bread is ready for flipping, too! Such a brilliant trick! This was our first food video, and she did absolutely great. But, she also got a little nervous. You’ll notice she mentions turning the burner to medium-high, it really should be closer to medium. Her tester toast got a little darker than normal, you want it to be a lighter golden brown than what you see at the end of the video. To help you out, we put our heads together and wrote kid-friendly instructions for how to make eggs in a basket. 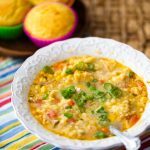 If your kids love this recipe, then they will really love my cookbook that will be published this summer. 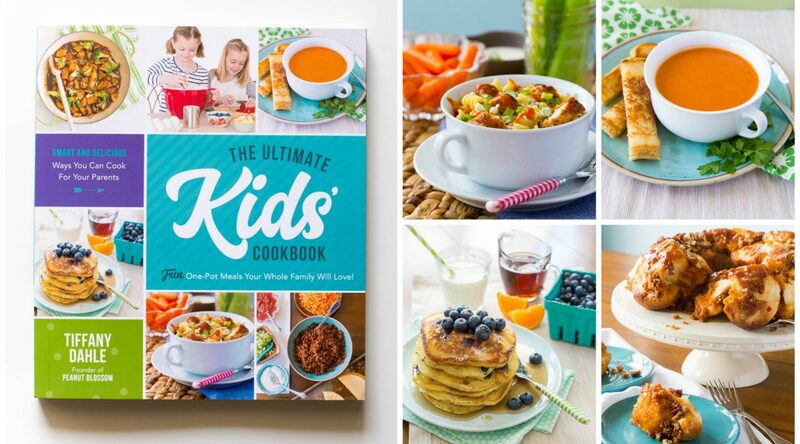 Read all about The Kids Ultimate Cookbook here. This simple breakfast is a perfect recipe for kids to learn to cook all by themselves. 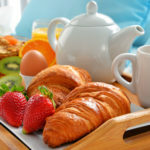 Just in time for Mother’s Day, it’s a great option for breakfast in beds that the kids can make for mom. 2. Place the bread on the cutting board or plate. Use a drinking cup with a small enough opening that it can cut a circle in the middle of the bread while leaving a nice border around all the edges. (A little kid’s cup from Target is our favorite.) Firmly push the cup straight down on the bread and gently twist it in place to trim and cut a circle shaped hole from the center of the bread. Set both pieces of bread aside. 3. Crack the egg into the small bowl. 4. Place the non-stick skillet on a stove burner and turn the heat to medium. Add the tablespoon of butter to the pan and let it melt completely. 5. When the butter just begins to bubble, swirl the pan so the butter coats the entire bottom of the skillet. Add both pieces of bread to the pan at the same time (the main piece with the center hole AND the small circle cut-out piece.) Carefully pour the egg into the open hole in the main piece of bread. 6. Let the bread and egg cook for a minute or two and then use the spatula to gently peek on the underside of the circle cut-out bread. When that looks toasted and golden brown, use the spatula to flip it over. Then, use the spatula to firmly scoop under the eggy toast and flip it over as well. 7. The second side will cook faster than the first. Check your tester circle to see if it is golden brown. When it is, remove both the egg in a basket and the circle toast from the skillet and put it on your plate for serving. On a different tangent… is that a ceramic pan? I need to buy new but can’t work out what I want! Hey Claire, thanks! I’m super proud of her. It is a ceramic pan — The Original GreenPan, I bought it on sale at Target last fall. My daughter loves cooking on it. They say you’re not supposed to need oil or butter when cooking with it, but we do anyway. It’s perfect for making eggs of all kinds.